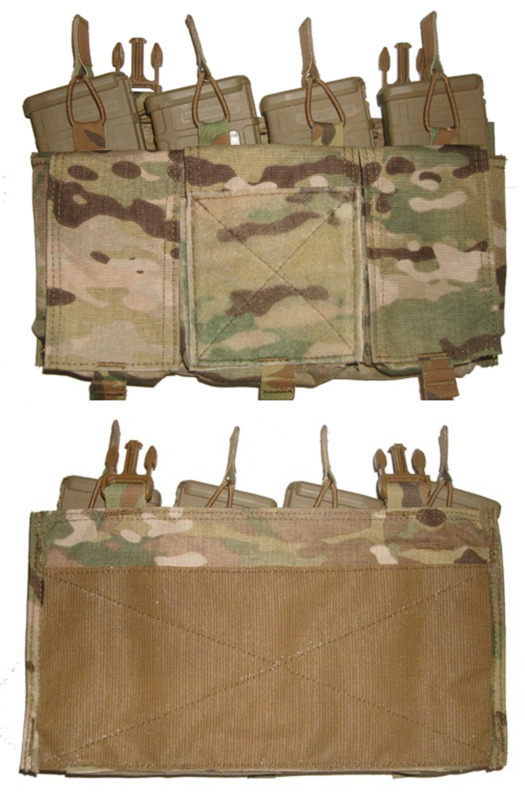 The Quad 5.56 Placard is meant to be a smaller, lighter alternative to a full chest rig, and allows the end user to quickly change weapon systems without changing the rest of his/her operational equipment (radio, PTT, med etc). The Quad 5.56 Placard holds four 5.56 magazines with an adjustable shock cord retention system. The front of the placard also has three general purpose pouches, and a loop panel on the center pouch flap for ID Patches. 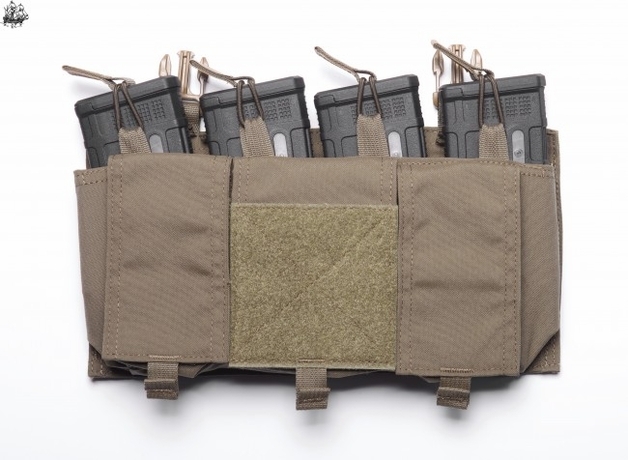 The placard has upward facing male buckles to clip into a SwiftClip system on the chest of the APC or LPAC/LPAAC, Velocity Systems Lightweight Place Carrier or other carriers with SwiftClip systems. The back face of the placard has hook to mate with loop on the front chest flap of the carrier. All materials and workmanship are 100% made in the USA. NOTE: Your carrier must have Swift Clip/QASM attachment points on the front panel and Velcro Loop on the front flap portion in order to secure the placard in place effectively. For Maylflower/Velocity Systems Carriers, you may need to move Swift Clips on front panel down one column of webbing for best fit. Magazines and patch not included.